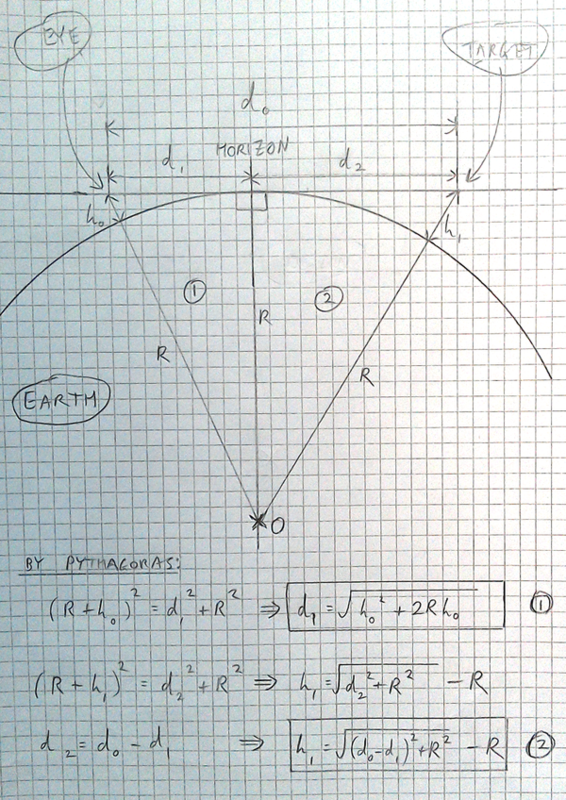 In order to calculate the amount that should be hidden we may use the Theory of Pythagoras. Based on the above, dizzib has provided an online calculator for computing the drop distance and the amount which should be hidden per observer height according to the curvature of the earth. This page was last modified on 22 March 2019, at 15:50.